L. Andrew Beach, CTS, is vice president of finance and operations of Waveguide LLC. 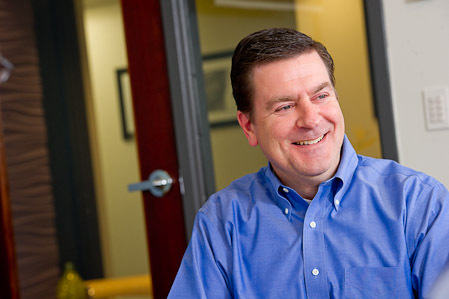 Prior to joining Waveguide in 2002, Andy was a corporate vice president for Emerson Motor Company, the $1.5 billion motor technology division of Emerson in St. Louis, Missouri. In addition to Andy’s operations and finance responsibilities, he is primarily responsible for the growth and success of Waveguide’s ongoing technology management service, Firstwave®. Despite an exterior hardened by a few too many nights watching Clemson football, Andy is secretly a very nice guy, and if you play your cards right he just might assign you a catchy ring tone.